Here you can find answers to questions like: My horse is 7 months old. How old is he or she in horse years? 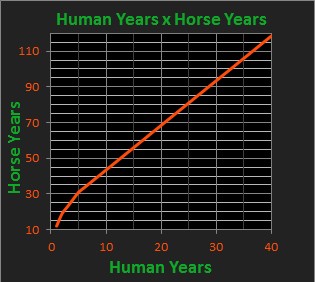 What is the horse years equivalent for a 7 months horse? 7 months are equivalent to how many horse months?